Wirehair Wednesday: Welcome To Your Forever Home Posey! Remember Charlie Watson? 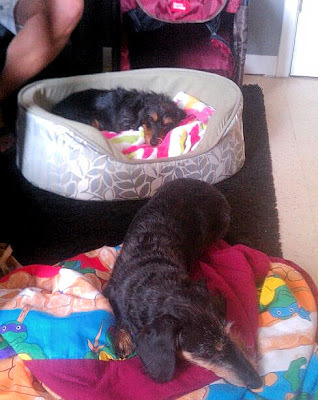 We just adopted a little sister for him from Southern California Dachshund Rescue. We named her Posey. Here is a picture of them together. She is about 5 years old and was found wandering the streets of San Diego barely able to walk. 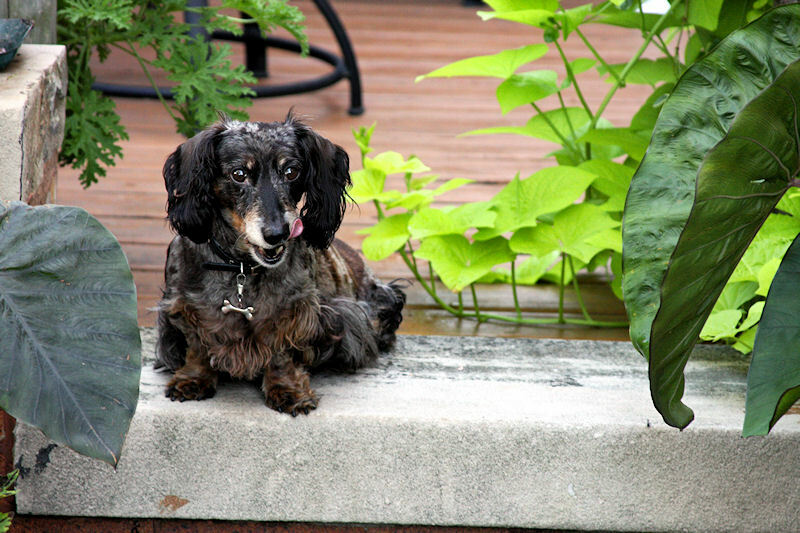 Luckily, the shelter and SCDR recognized her symptoms and started treating her for IVDD. She has been with us for about a week and is already walking much better. She gets stronger every day. 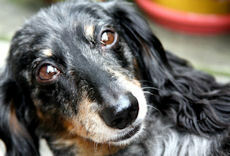 As you can see, she is a mini wire-haired dachshund that looks just like her big brother Charlie. As she gets stronger, she also gets more and more feisty--she wants to wrestle Charlie every chance she gets. We hope we are able to provide her a happy home and that she lives a long healthy life with us here in San Francisco! We're betting that little Posey could not have found a better home. Congrats all around! 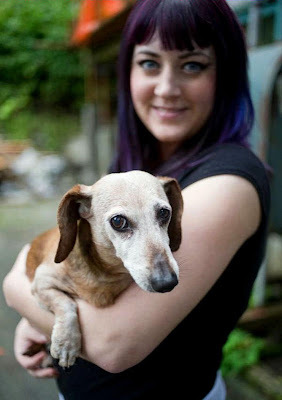 Dachshund Lover Punches Bear To Save Her Dog! 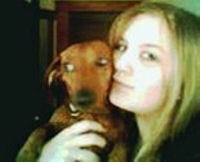 Brook Collins holds her dog, Fudge, at her home on Tuesday. Collins punched a black bear in the snout after the bear attacked Fudge on Sunday. Collins said when she looked outside she saw a bear was crouching down with Fudge its paws and was biting the back of the dog’s neck. “That bear was carrying her like a salmon,” she said. She said she almost instinctively went up and did the first thing she thought of. She punched the bear’s face and scooped away her dog when it let go. It all happened too fast to really think about but she had flashes of hearing about how some animals will back off from a punch to the nose, she said. Fudge suffered some claw and bite marks which weren't deep and required no medical attention, but he will be taken in to the vet if they become infected. Read more at the Juneau Empire. 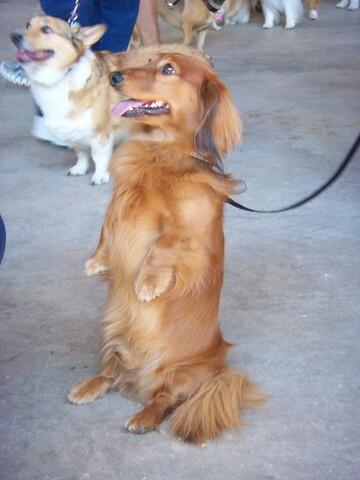 Reported to be the hit of noontime activities at September's Golden Gate Dachshund club specialty was Hoganschiest, the invisible Dachshund. Bill Nix (left) did judging honors, including thorough examination on table (Hoganschiest had two!) and observation of gait. Mel Cutler brought Hoganschiest back from Germany and also handled during lunchbreak of regular class judging. Most exhibitors ate at ringside in order not to miss this hilarious performance. Photo by Bill Francis. 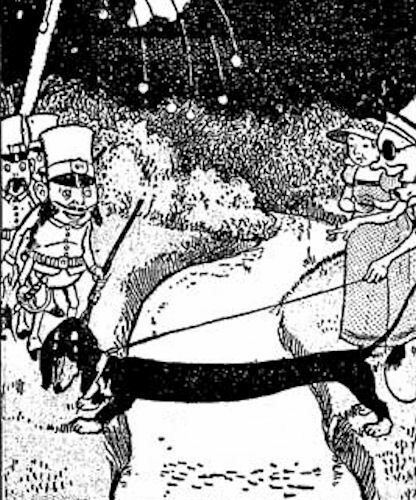 via the American Dachshund magazine, November, 1972. 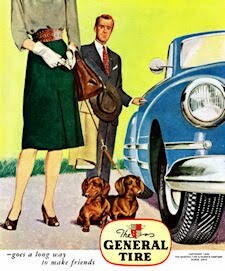 Is there a Dachshund there, or are we just blinded by Mr. Nix's choice of blazers? 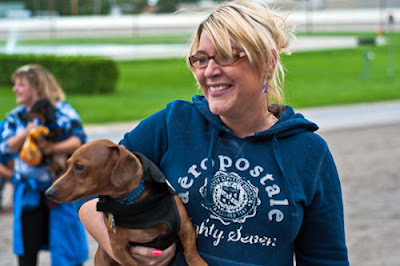 The Wiener Dog Races at Batavia Downs on Sunday have been all the talk in Batavia, New York after speedy black and tan smooth dappled 'Jake Arnold' earned his three-peat championship only to have the win go under review again on Sunday night. From high atop Batavia Downs it appeared that Jake had won, but cameras on the ground showed otherwise. On Monday it was announced that the race was too close to call, and for now he's sharing the win with expeditious underdog red smooth 'Gordon Ryan.' A rematch between Jake and Gordon is now in the works for Saturday evening. Stay tuned....and may the fastest dog win! Source. Gordon and Lindsay Ryan look ready for a rematch. Greece is the word, and little 'Spithas' is the man! Awesome new video by youtuber ssggrock who notes: Spithas, the little Dachshund from Greece, is on vacation! After he wakes up he goes for a swim at the sea. Then he shows how smart he is by performing some funny tricks. Finally, after having a long trip with his boat Spithas goes to bed. Chloe is a friend to many. Via pennlive.com. 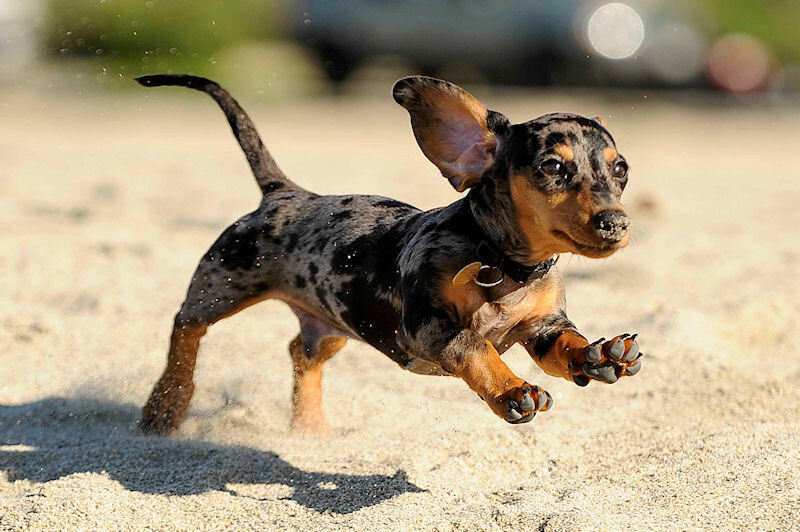 Leaping Into Your Friday With Some Ooey Gooey Dachshund Puppy Goodness: Meet JIMMY DEAN! My name is Lauren, and I read your blog everyday! This is our little son JIMMY DEAN, and he is a silver dapple mini Dachshund .He is from southern CA and this was his first day ever at the beach, he LOVED it!!! He was only about 6 months here and now he is 11 months. 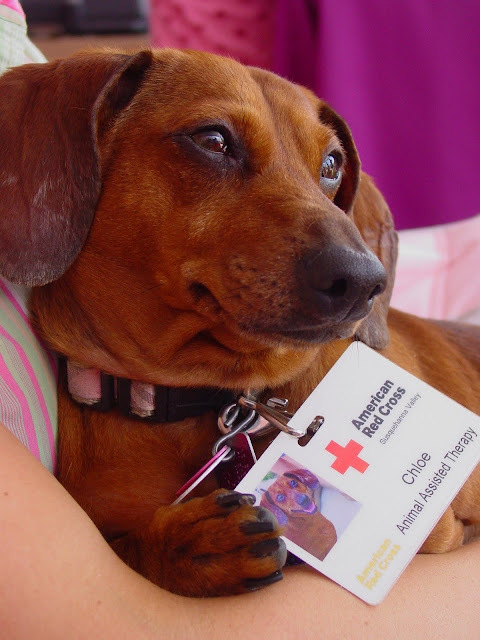 We just have one question: Was this little tyke named after the actor or the sausage? Be Prepared! Like good Boy Scouts, 'Jetson' and 'Jordan,' two of those HANDSOME five Sheridan Avenue Boys, are ready for Hurricane Irene should it hit close to their Virginia home. 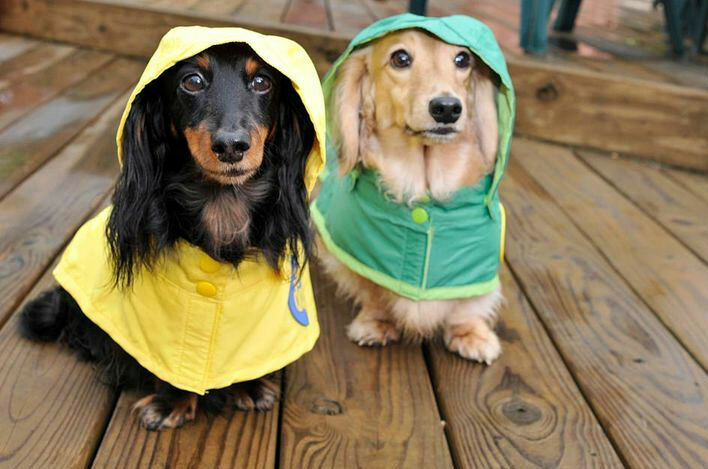 We hope you're prepared too, and stay safe! "I think we need some boots also." 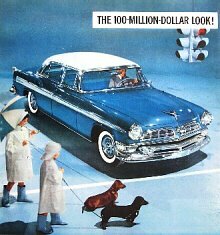 We're sure that you remember Dachshund U.N., a travelling performance and architectural installation by Bennett Miller in 2010, which made its way around Australia and featured a U.N. replica with Dachshunds as delegates! The project was also made into a 12-minute short film by director Sambodhi Field, which is now making the rounds at some film festivals. Keep up with the film on facebook. We covered the project extensively in the archives, but the search function isn't working too well at the moment. Best bet is to click here for an Australia search and weed through the posts if you're so inclined. 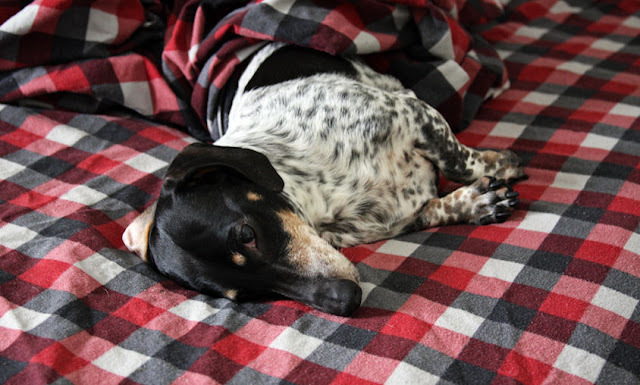 The Dog Days of Summer/Win Your Own Dachshund Quilt! Thanks to our pals 'Turbo' and 'Lily' for sending in such nice photos and captions! There's more than corn in Indiana! 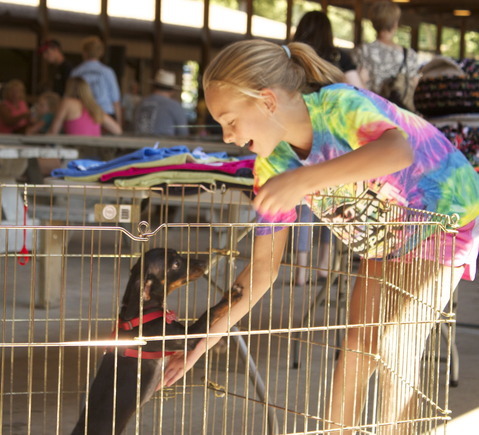 Four-legged family members had their day in the sun last weekend during the annual Dog Days of Summer event at the Lake County Fairgrounds in Crown Point, Indiana. Dog lovers from throughout Northwest Indiana converged on the Show Pavilion for a chance to mingle with the like-minded and even look for a new canine friend needing a forever home. MWDR alum 'Bailey' was the real show-stopper with her 'practical' agility demonstration. 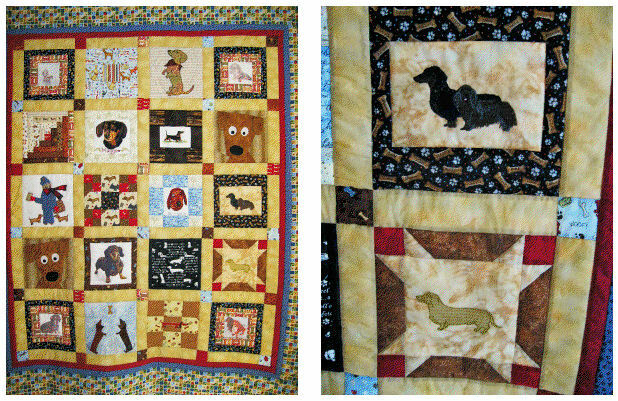 And while we're on the subject of MWDR, don't miss your chance to own this fantastic Dachshund quilt! Put together by MWDR volunteers, and aptly named "Rescue Tails," this handmade quilt will be raffled at Dachsiefest in Danville, IL on September 10, 2011. WINNER NEED NOT BE PRESENT. UPDATE: You can also purchase tickets on MWDR's website via paypal and indicate in the notes section that the donation is intended for raffle tickets for the quilt. 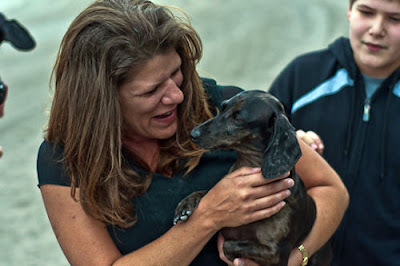 Within hours of the posting of the story of Brian Tabar losing "Oscar" the Dachshund in his Old Brooklyn neighborhood Aug. 6, the couple who "adopted" him at a yard sale in Parma Heights returned him to his rightful owner. "The article worked," Tabar said. "A friend of the couple who adopted him read the article, got in touch with them and they dropped Oscar off at my house around 9:30 p.m. (Thursday, Aug. 18). "Thank God this story was true and had a happy ending. My daughter could not stop smiling with joy when I carried Oscar into the house." 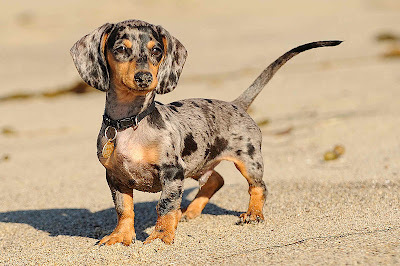 Dachshund racing returned to Golden Gate Fields in Berkeley, California on Saturday, August 20th, and 'Mitzi' didn't fare so well this time. By youtuber masterofhounds who states: Mitzi's racing career is littered with gold metals. 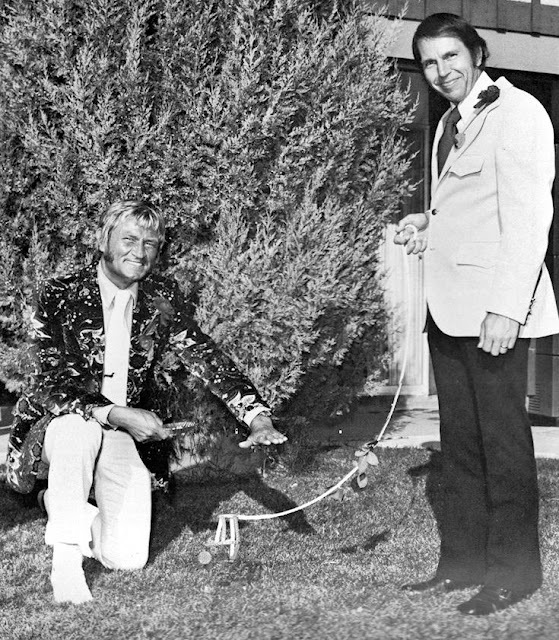 On this day Mitzi was favored to win but ended up not placing. We caught up with Mitzi's trainer to find out what happened. Late 30's - early 40's photo source unknown. 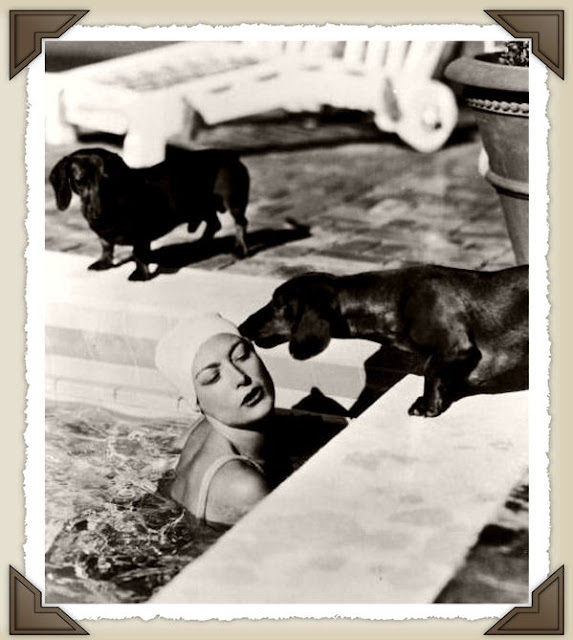 Via i has a hotdog. We're sure you remember the story back in May of Gary and Moira Rowlinson who hail from Stockport, Cheshire, UK. They gave away their beloved Dachshund 'Bailey' to family friend Steven Spencer, after Bailey bit their 2-year-old granddaughter. They realized their mistake the next day and asked for Bailey back, but Mr. Spencer refused. Then it went to the courts. 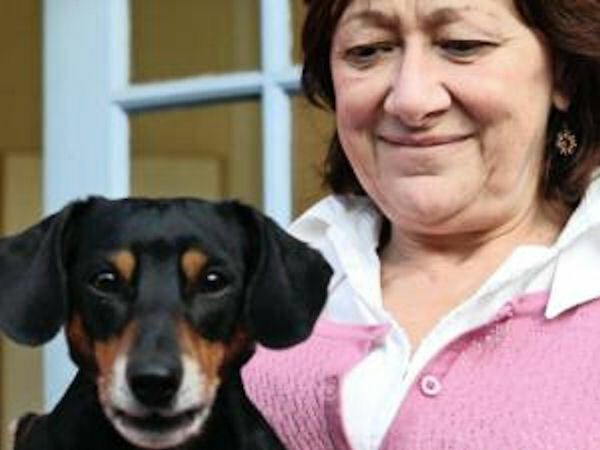 A judge has ruled that a man who gave away his pet dachshund after it bit his granddaughter cannot have the animal back. Gary Rowlinson, 55, from Stockport, Cheshire, immediately regretted his decision to hand Bailey to his friend, Steven Spencer, and asked for him back - reportedly offering £1,000. 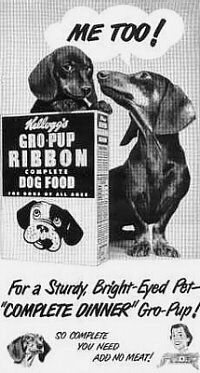 But Bailey's new owner refused, so Mr Rowlinson and his wife Moira decided to take legal action under the Return of Goods Act. The custody battle was settled today at Stockport County Court when it was ruled the 'gift' could not be taken back. 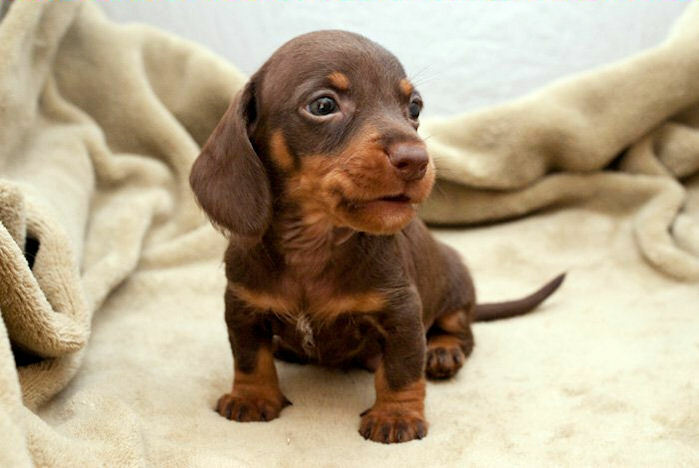 Mr Rowlinson, a joiner from Offerton, said his family were 'devastated' without Bailey, a miniature dachshund he bought as a puppy for £700. Following the hearing, Mr Rowlinson told Granada Reports: 'The judge has made his decision and I said I will abide by that. Read more and see more photos at the Daily Mail. 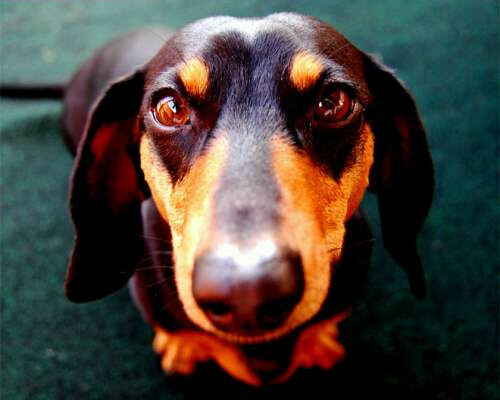 Have you seen this Dachshund? 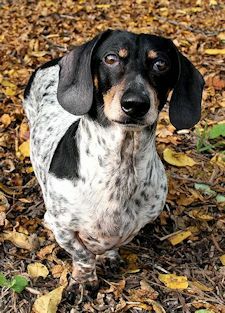 Little did Brian Tabar know when he let his Dachshund "Oscar" out to do "his business" Aug. 6 that it would be the last time he would see the 11-year-old family pet. Tabar and his 15-year-old daughter couldn't find Oscar, so they started to put signs up around their Ardmore Avenue neighborhood in Old Brooklyn. While canvasing the neighborhood, Tabar met a man on Wetzel near Pearl Road who told him that he had picked up Oscar on Aug. 6. Thinking he was a stray, the man "adopted" Oscar as his own. 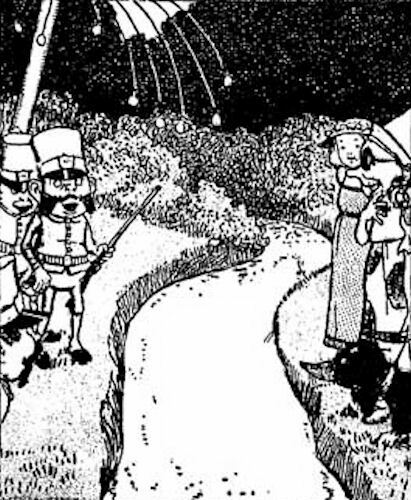 This is where the story takes a strange turn. The man told Tabar that he took Oscar to a yard sale on Aug. 7 or 8 in Parma Heights in the Chesterfield/Maplecliff neighborhood. 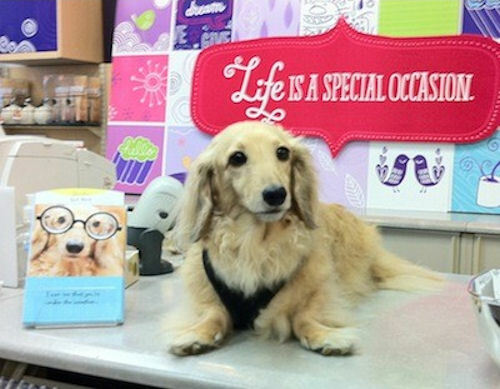 While at the yard sale, he met a family who fell in love with Oscar. 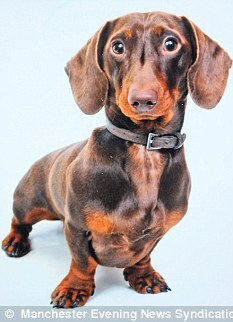 Apparently, they have Dachshunds of their own and took Oscar off his hands. "He has been a part of our family for 11 years," Tabar said, "and my daughter is devastated." Find contact info at Cleveland.com. If you were anywere near Winskill Park in Tsawwassen, BC, Canada on Sunday, chances are you attended the 19th Annual Western Dachshund Club's Annual Wiener Walk and Picnic. What else would you do after all? The event also featured games and a costume contest. See 25 photos at the Delta Optimist. Dachshunds are just hours and hours of endless fascination - especially in slow motion. Video by Ukraine youtuber MrLeshchinsky. 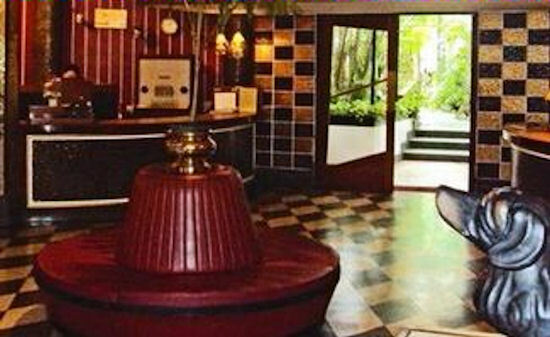 But don't assume all these rules add up to no fun at this hotel, which was founded in 1954 as the premises of the Atlanta Chemical Company by German chemical engineer Dr Max Henn. Though it looks like a dull, low-rise concrete block from the outside, the minute you step through its front doors you're transported back in time. The Atlanta has been preserved in all its former glory. 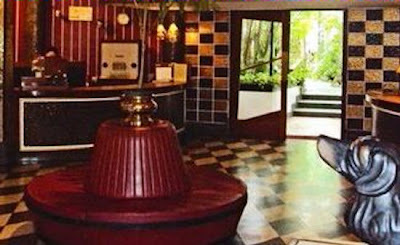 The foyer, cool and dark, has retained its 1950s style complete with Art Deco features, including a writing room and library, old telephones, terrazzo floor and two magnificent bronze Dachshunds. This is Caron. He is an eleven-week-old chocolate and tan wire-hair puppy. He loves his "Long and Short of it All" reading already! He lives with his brother, fellow Dachshund Amos who is 1-year-old. 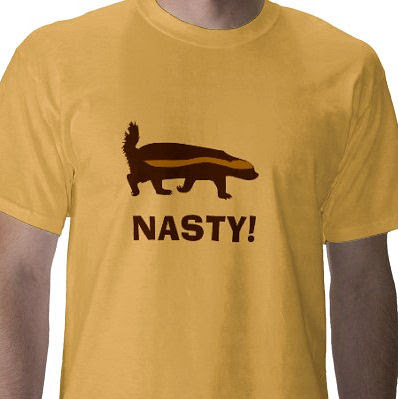 Show some solidarity with your long dogs and wear THIS to your next Dachshund event. Would You Like Cat, Squirrel, or Shoe? If you live in NYC and want to put the chill on this long hot summer, you may want to contact Frozen Forest Ice Cream for what looks to be the best flavors of doggie ice cream we've ever seen. Cat? Squirrel? Shoe? Can we have all three? 100% organic ingredients, prepared and churned in a classic Italian gelato machine. 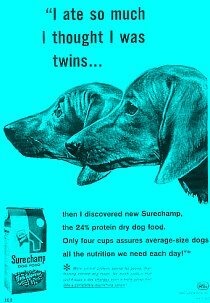 Via Dog Milk. Meet little 'Napoleon,' and his mom, art teacher Mary-anne Baasch, who hail from Durban, South Africa. Mrs. Baasch was driving her car out of the garage a year ago, and Napoleon darted out and bit a security guard walking past her home. 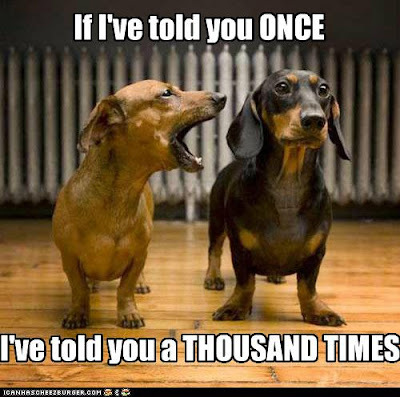 He had never bit anyone before. She offered to pay for any medical expenses - the bite looked like "more like a graze," according to Mrs. Baasch, but the guard refused. Then just a few weeks ago, she was hauled into the pokey and locked up over the charges of keeping a vicious animal. She was then released with a notice to appear in court a week later, but her charges were dropped when they didn't appear on the roll for that day. Mrs. Baasch is considering suing the police for unlawful arrest. 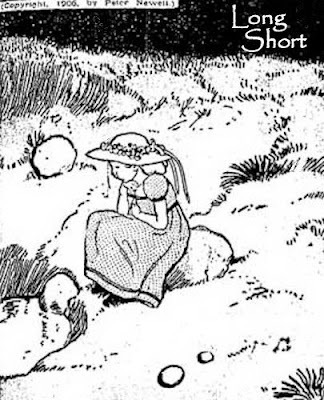 We don't blame her. Read more at The Star. 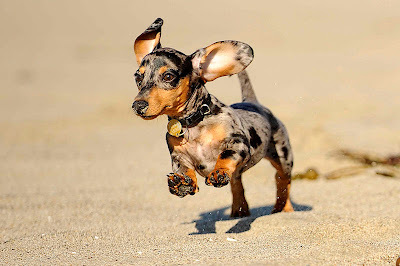 One Hundred and One Dachshunds ~ 2011 Childrens Museum of Eastern Oregon Annual Wiener Dog Race! 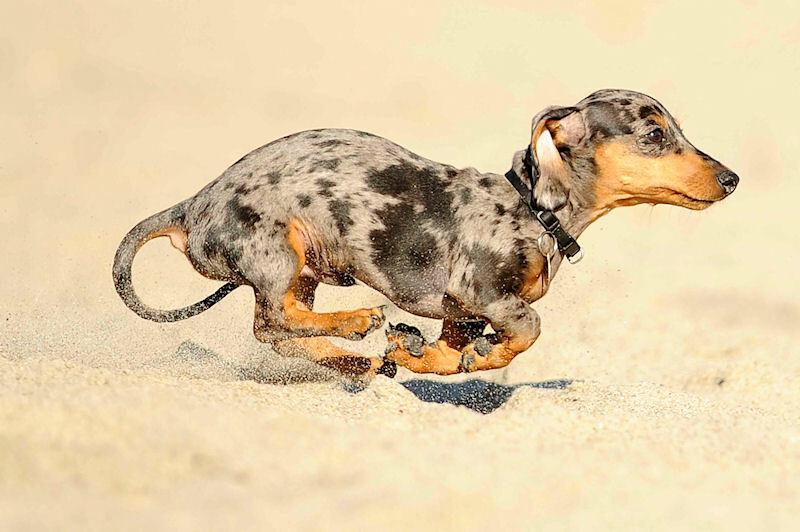 The 5th Annual Wiener Dog Race, was another huge success this year. 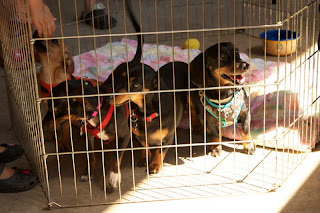 Held Friday, June 24th on Main Street, hundreds of families and children came down to enjoy the activities, games, food and fun as well as to watch the 28 racing dachshund dogs. 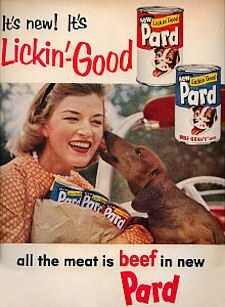 Most surprisingly was this year’s new winner, Miss Fatty Patty owned by Candise Driggers, who upset three time champion Skippy for the first time. Second place went to John Henry, owned by Larry and Liz Pearson, and third place went to Brewsky, owned by Sara Jane Rosenberg. "I've been traveling for over 4,000 miles in nine states since February, 2009," he said. 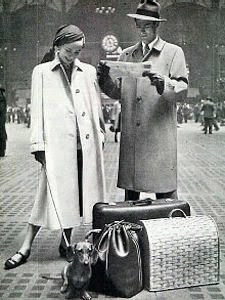 "I love to travel. I'm going slow and taking time to look at the countryside. I didn't have too many relatives to hold me back." Newton said he averages about 15 miles each day on the road. "You only get one chance to live and will be here on this earth for a short time so you had better enjoy life all you can," he said. 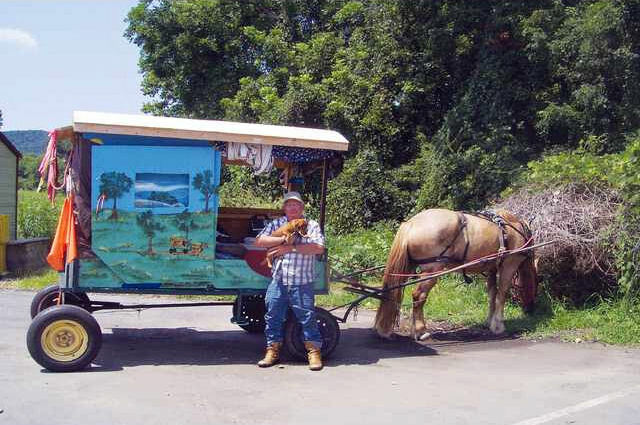 He said while touring America in his wagon, he stops to read historical markers along the way. "I'm just living my dream," Newton said with a smile. That is apparent. Those words are written more than once on his home on wheels. Read more at the Gainesville Times. 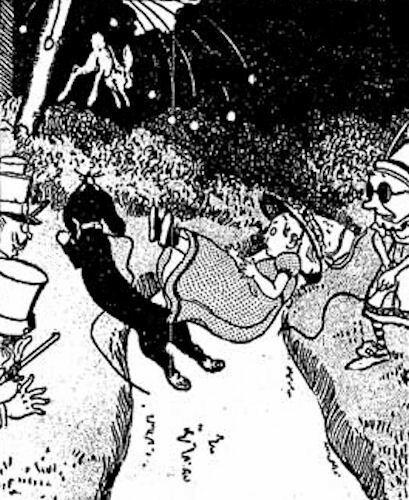 Take a trip with Joey 'n Maggie where one pill makes you longer and one pill makes you short, it's The Naps of Polly Sleepyhead, as the comic strip appeared in the September 2, 1906 edition of the Chicago Tribune. 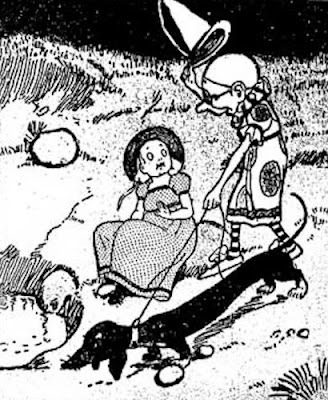 The serial strip was written and drawn by American artist and author Peter Newell, who created bizarre children's books at the turn of the last century. No. 1 - Polly was perched on the brink of the spring down below the orchard. 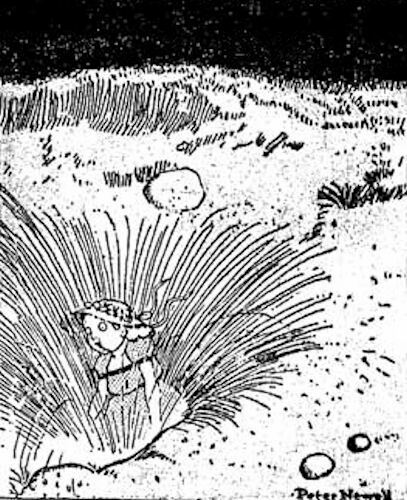 She was thirsty and minded to stoop down and drink, but felt too indolent to make the effort. And, if you please, from Shadow Trees we'll gather luscious fruit." He mostly runs to body, but he tries to be a-head!" And make a run upon the bank that's on the other side." No. 5 - The joker then commanded Stretch to place his fore feet on the opposite bank, which he did, thus bridging the stream. 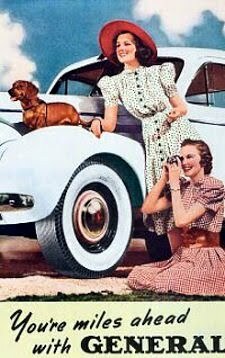 Polly and the game wardens thought this quite a clever idea and heartily applauded both the Joker and his dog. No. 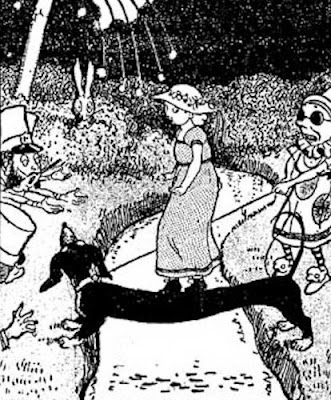 6 - The Joker directed Polly to cross over, and she carefully stepped on to the living bridge. 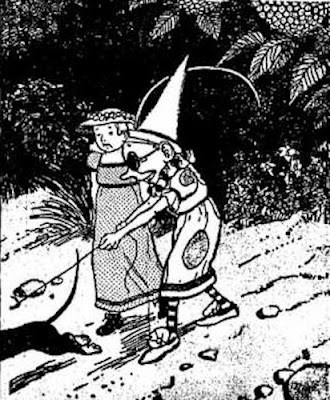 But she was no more than halfway over when a rabbit, deeply interested in the performance, indiscreetly showed himself where he was seen by all, including Stretch. No. 7 - This was too much for a rabbit dog to endure, and in spite of his master's commands away he went, helter skelter, after the rabbit, leaving Polly without any support. No. 8 - Then she woke up with a gasp. "Help!" shouted she. And then she realized she was in no danger. "What a goose I am," said she, "to go to sleep and roll off into the spring!" If only she knew about the heat-generating capabilities of our furry little hot water bottles. 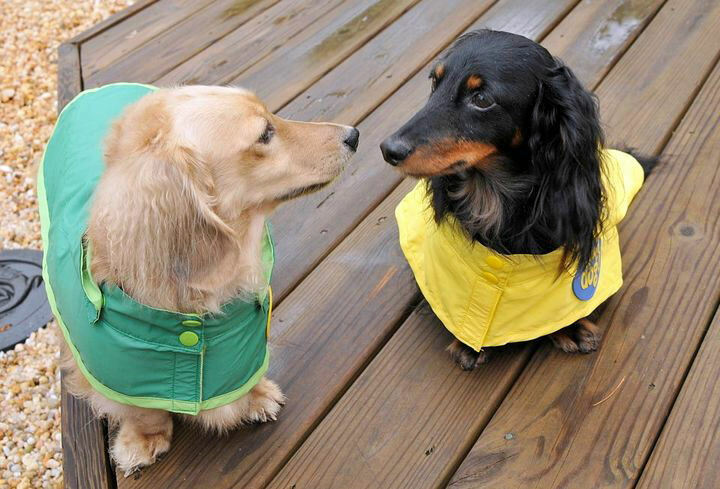 By youtuber gemllama who notes: Dachshund power: the alternative energy of the future. 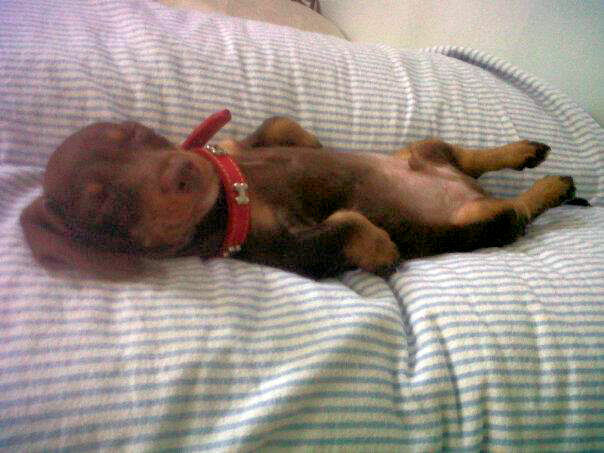 Harnessing the underused energy of little dogs everywhere! Kay Taylor, Lincoln’s mom, was on hand for the Saturday event, as well as some of Lincoln’s most ardent admirers. “It’s so exciting to see the cards doing so well and generating so much interest,” Taylor said. “And everyone at each of the local Hallmark stores has been so nice about getting Lincoln's card in and supporting our efforts to promote the cards,” she added. Read more at the Charlottesville Examiner. 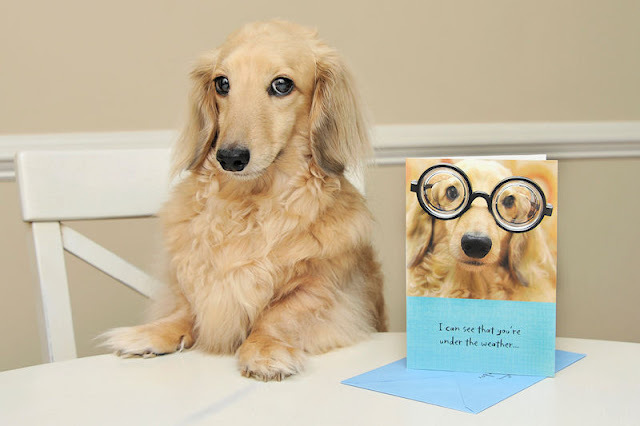 Lincoln sure knows how to work the camera with his new "Get Well" card. 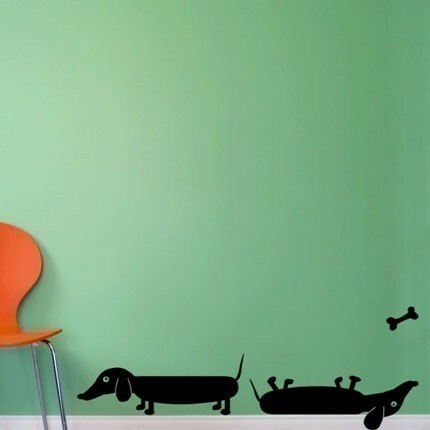 Thanks to Karen and 'Barney' dog for sending in a link to these awesome Dachshund decals which are available over at vinylwalldesign at Etsy. 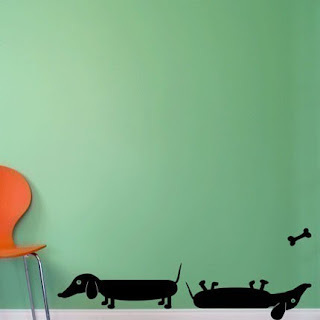 We've seen another Dachshund decal on the net somewhere, it was a larger decal and a single dog which wasn't as whimsical, but it was like $200. You can't go wrong with these for $40 if you need to spruce up a kid's room, your office, or anywhere really! 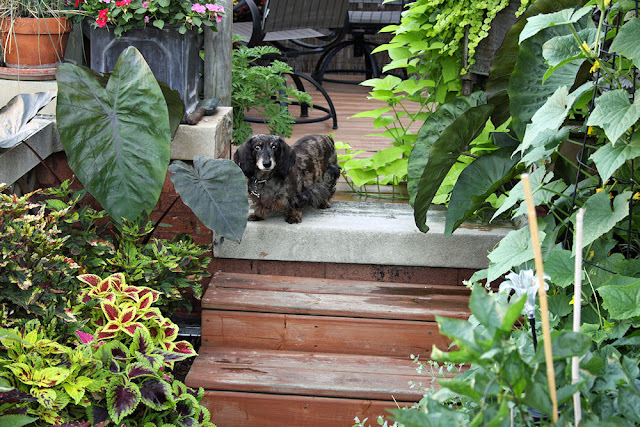 It's Wednesday, it's Wirehair Wednesday, and we've got content thanks to our friends at Born-To-Track News & Views. And it couldn't be sweeter. 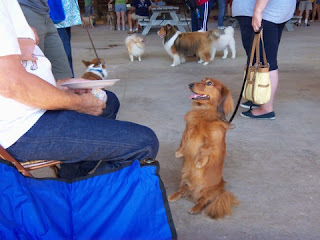 The video notes: Our standard wirehaired dachshund Paika whelped five puppies on Aug. 4, 2011. This was her first litter. The video shows the delivery of the second puppy. The puppies are bred for tracking wounded big game and for hunting. Adele Gives Us a Shout Out in Vancouver? British jazz-blues singer Adele entertains a sold-out audience at the Orpheum Theatre on Tuesday. Wow - we're so honored - boy do we love Adele. 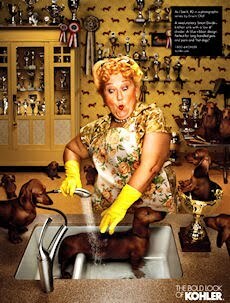 She's the hottest Dachshundist around - selling over 8 million copies of her latest album? Adele would spend plenty of time chatting up her crowd between songs - talking about her wiener dog, her blog, fans she had met at the airport earlier that day and other lighthearted matters - and having quite a laugh throughout. If anyone has any more info, please leave a comment! 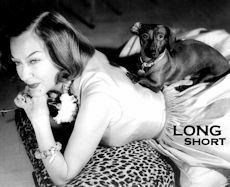 Read more about Adele and her Dachshund 'Louie' in the archives, check out her official site, and buy her music. You won't be sorry. Seriously. 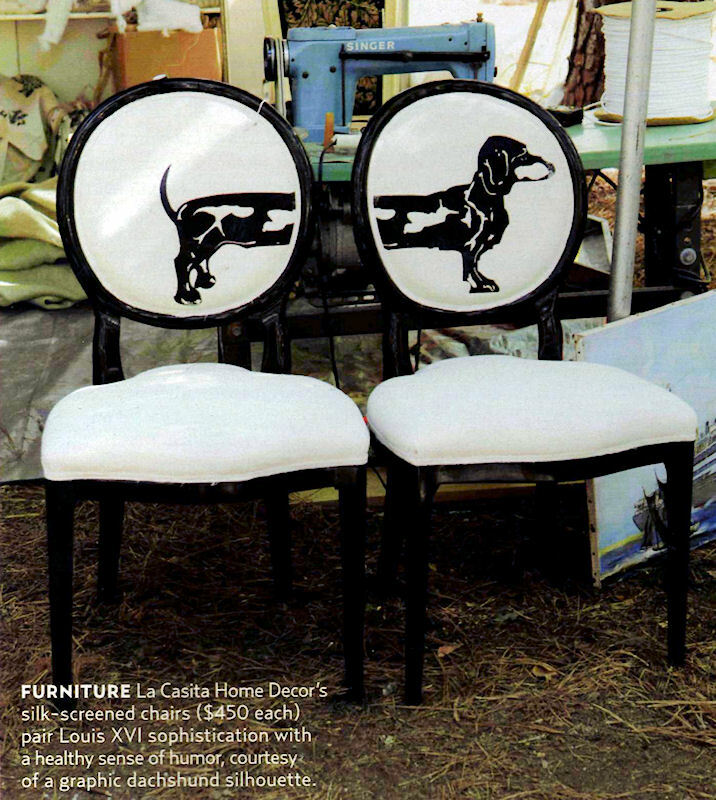 Via the September, 2011 Country Living magazine: La Casita Home Decor's silk-screened chairs ($450 each) pair Louis XVI sophistication with a healthy sense of humor, courtesy of a graphic Dachshund silhouette. And what's so funny about it? These are great - and a little less expensive than the $1,900 pair offered up by Jimmie Martin Ltd. 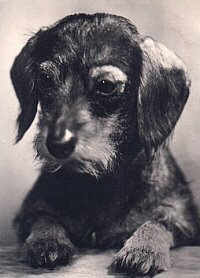 Excuse us while we bask in her beauty - it's 'Stella,' the first dual champion longhaired Dachshund female to attain the grand champion title in the United States. 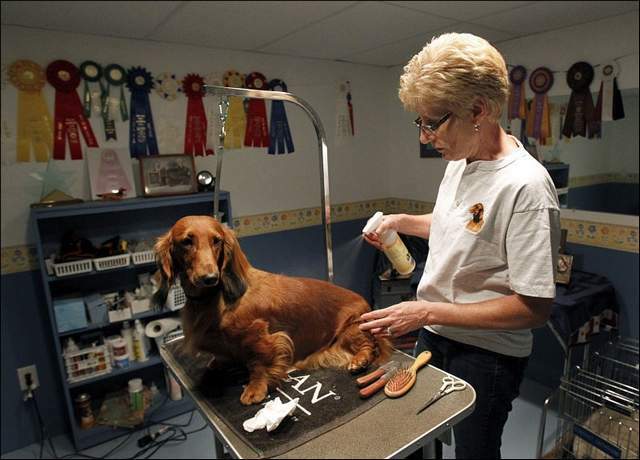 Apparently, according to the Post Crescent, to honor those dogs that are super examples of their breed, the AKC started the grand championship program in 2010; previously the highest award was champion. Stella's human, Anne Schmidt, who operates a small hobby kennel at her home in the Town of Center, Wisconsin says: “I’m very lucky. It took me 30 years to get there, but I got there." Looks like someone's got a case of the Mondays and overslept 2.5 hours this morning! Joey! So much for any blogging today. But Joey and Maggie will be back tomorrow, all bright-eyed and bushy-tailed. Miss 'Maggie,' your Long and Short of it All hostess, enjoys gardening with her Dad in the early morning while her brother 'Joey' snoozes away on the big bed until it's breakfast time. Good times were obviously had at the 2011 San Diego Dachshund Club Picnic, which took place in Balboa Park on July 24th. Sweet. 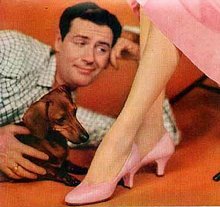 With the harness racing 'Batavia Downs' Casino wiener races scheduled for August 28 in Batavia, New York, "Rudy" a veteran of the races begins his training. 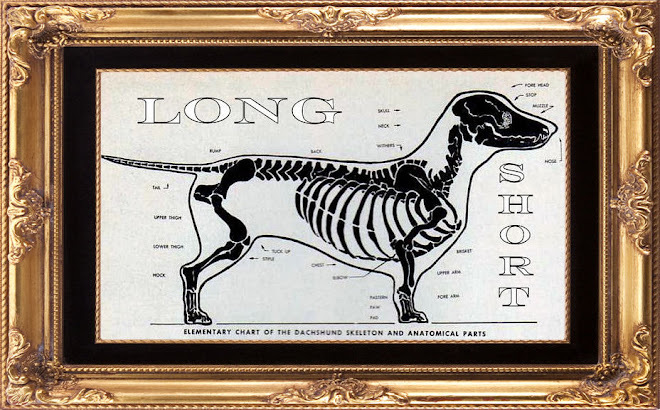 The now 8-year dachshund has been one of the top competitors in the Downs dog races. He sports a win and then back-to-back seconds the last three years, for his owner Ron Schiller. 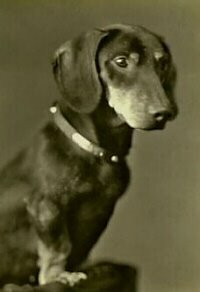 Jane Smart’s, “Jake Arnold” has been Genesee County’s fastest dachshund. He’ll look to three-peat when the races are contested after the last harness races on August 28. Post time for the harness races is 1:15pm. 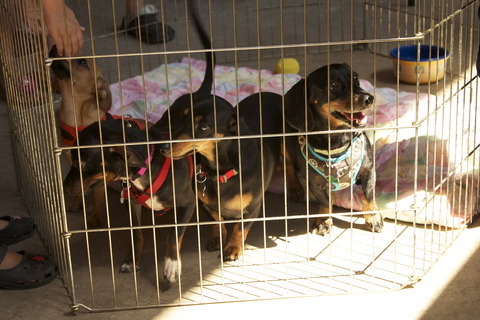 The wiener dog races, sponsored by Petco of Batavia, begin approximately 4:15pm. Admission and parking is free. The Wiener dog races are part of Family Fun day at the races with all activities for the kids running from 2 until 4pm. 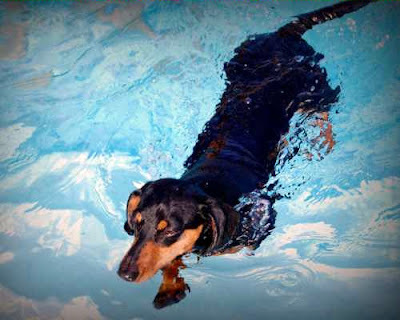 Register your Wiener Dog at the link.